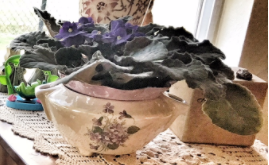 Beautiful self-watering African violet pots. 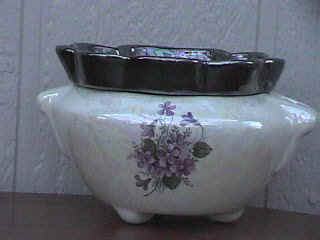 These pots allow the violet plants to absorb moisture as needed. 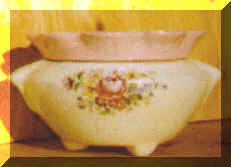 Each pot is carefully made once ordered. The top section is porous and absorbs moisture from the bottom section. Standard: 7 inches across, 4 inches tall. The insert is 6 inches across and 2 3/4 inches deep. Large: 9 inches across, 5 inches tall. The insert is 7 inches across and 3 1/2 inches deep.